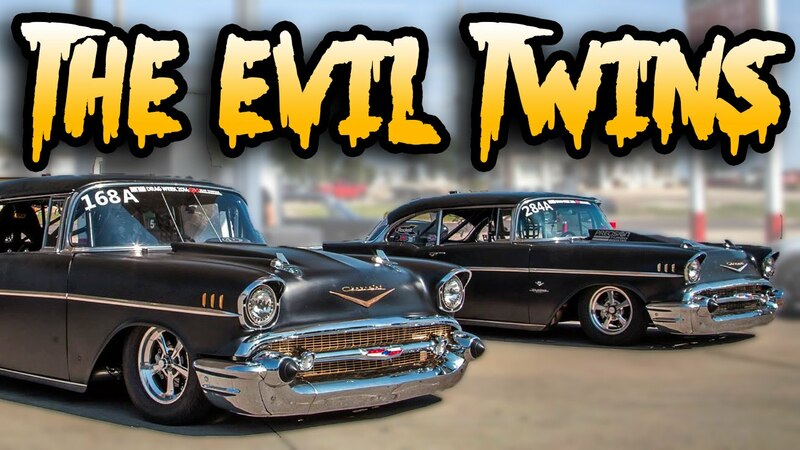 Super cool Father and Son 57 Chevy Drag cars with crazy HP… 1,000 MILES OF DRIVING and averaging in the SIXES over 5 days – Drag Week 2014 CHAMPION Jeff Lutz Sr put on one hell of a show with his son Jeff Lutz Jr this year as they each piloted two of the NASTIESTS 1957 Chevy’s known to man. 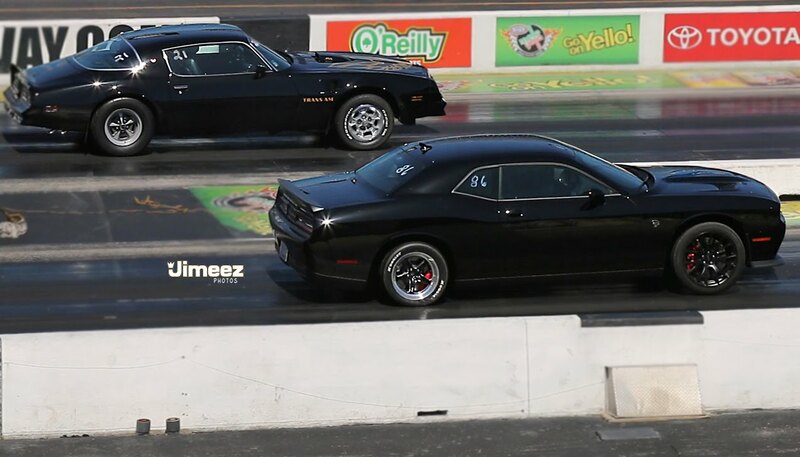 Both cars with twin 88mm turbo 692ci motor setups shifted by a Rossler 210 Transmission and a Gear Vendors Overdrive, but the “EVIL TWIN” (new build for 2014) weighing in 800 lbs lighter than “THE BEAST” and with slightly more power was the crowned champion of the event averaging 6.84 @ 212MPH for the 5 days of Drag Week driving over 1,000 miles in those 5 days! THE BEAST piloted by Jeff Lutz Jr averaged 8.27 @ 166MPH for the week. 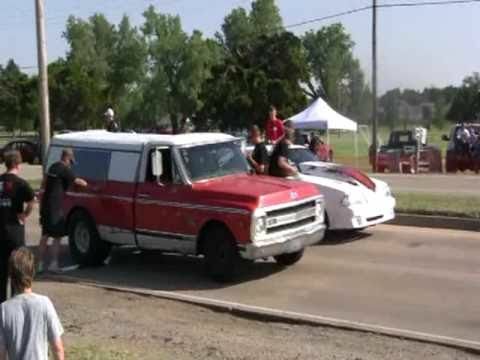 Junior is planning on bringing his NUTTY twin turbo V8 Honda Civic to the event in the future, see some teaser photos in this video of the build!